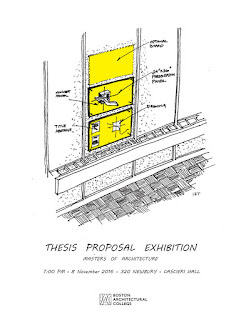 The Thesis Proposal Exhibition is an in-progress exhibition by the Thesis Seminar Students of the thesis abstract, sketch design drawing(s), sketch design model(s), site analysis and case study proposal(s) assembled onto one design board for exhibition. 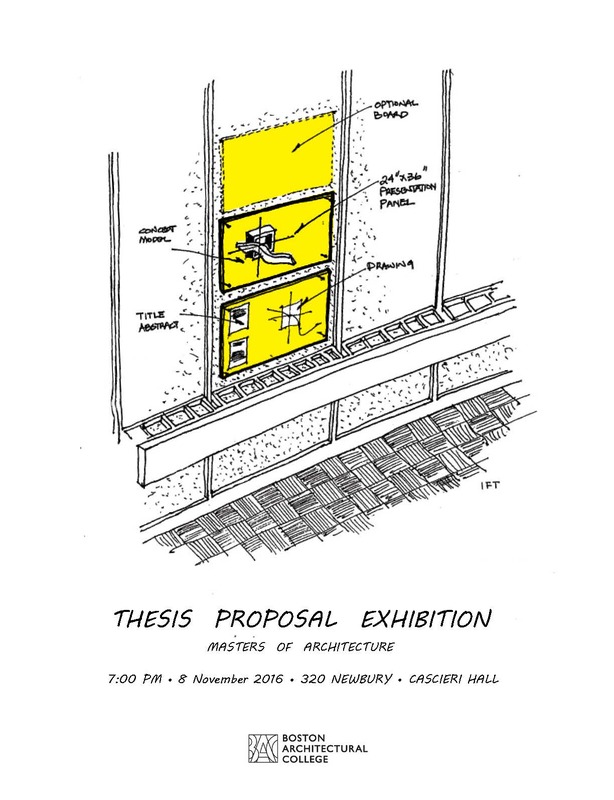 Evaluations, comments and critique are most welcome and could assist the students to develop their final Thesis Proposals. This is also an opportunity for the students to build their thesis teams and panels. Pizza will be provided! Your attendance and contributions will be greatly appreciated.